Check out Tobi's Circle Around Earrings Good times are calling with the Black & Grey Circle Around Earrings. 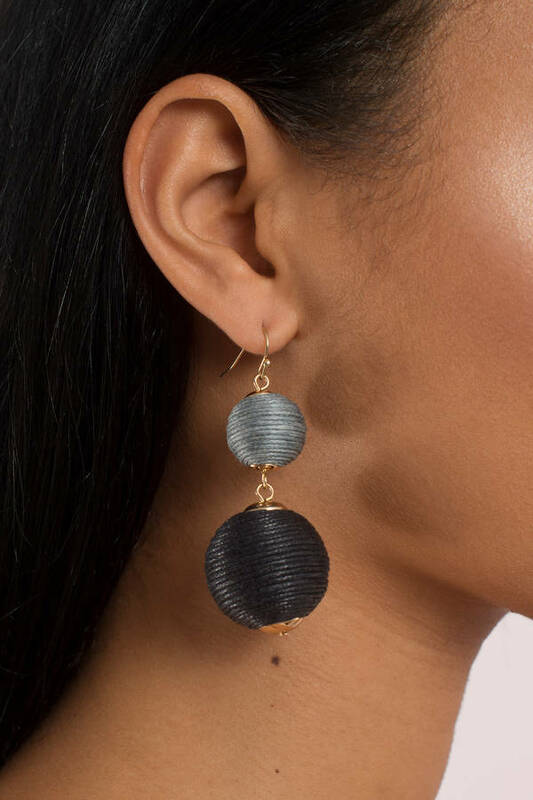 With a statement grey lantern ball and a larger black ball dropping from a gold tone fish hook, the dangling earrings will add a playful touch to work outfits, but they're just as comfortable dressing up a sweater or heading out to party too. Good times are calling with the Black & Grey Circle Around Earrings. 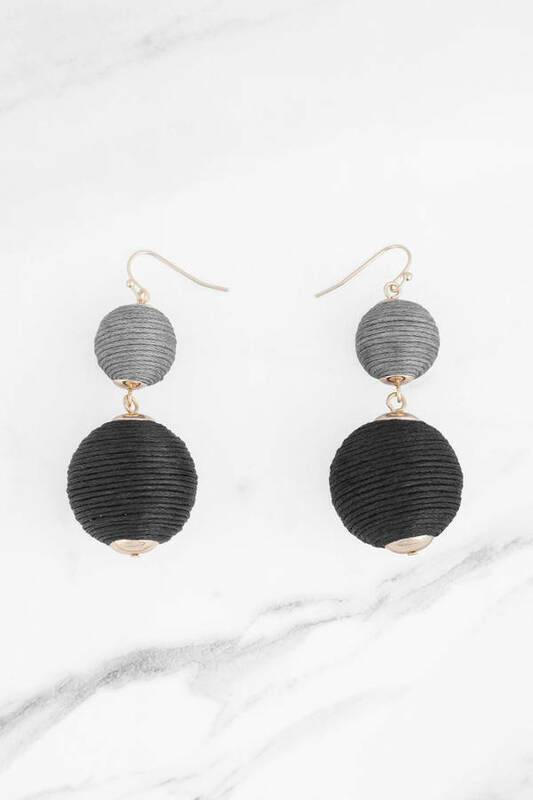 With a statement grey lantern ball and a larger black ball dropping from a gold tone fish hook, the dangling earrings will add a playful touch to work outfits, but they're just as comfortable dressing up a sweater or heading out to party too.